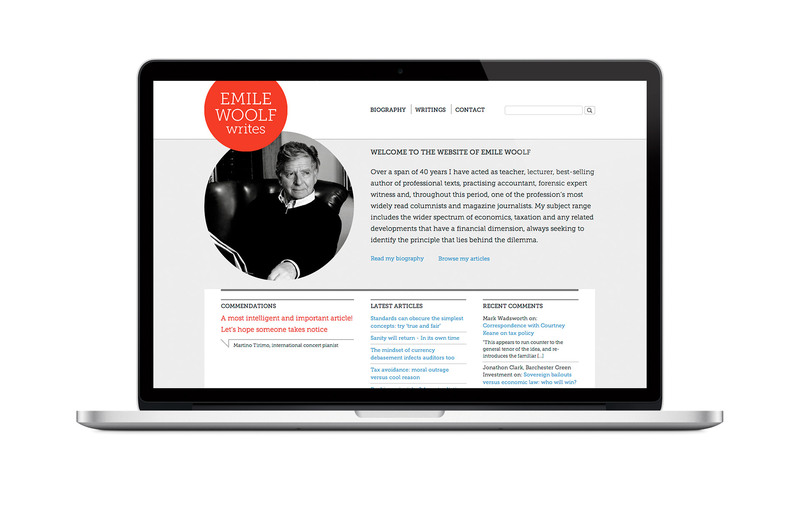 Emile Woolf is a best-selling author of professional texts, practising accountant, forensic expert witness and is one of the profession’s most widely read columnists and magazine journalists. Although he continues to write for traditional print publications, he wanted to have an online presence and asked us to produce branding and a simple website. 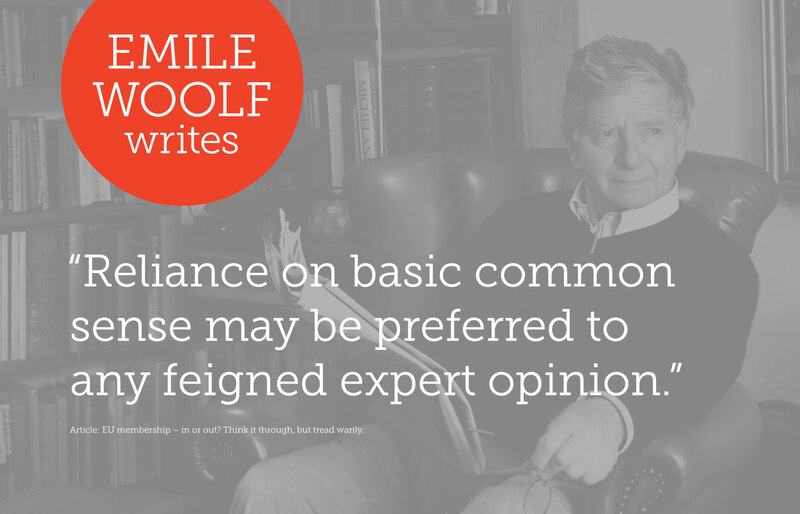 This would become the main source for his articles and opinions. Once we had developed the name and logo, we turned our attention to the website. It was a very interesting project as there would be virtually no imagery, so the layout would have work well, and be easily read, with just text. The other main consideration was ease-of-use, so we developed a very clear admin section with modules for the different types of content. 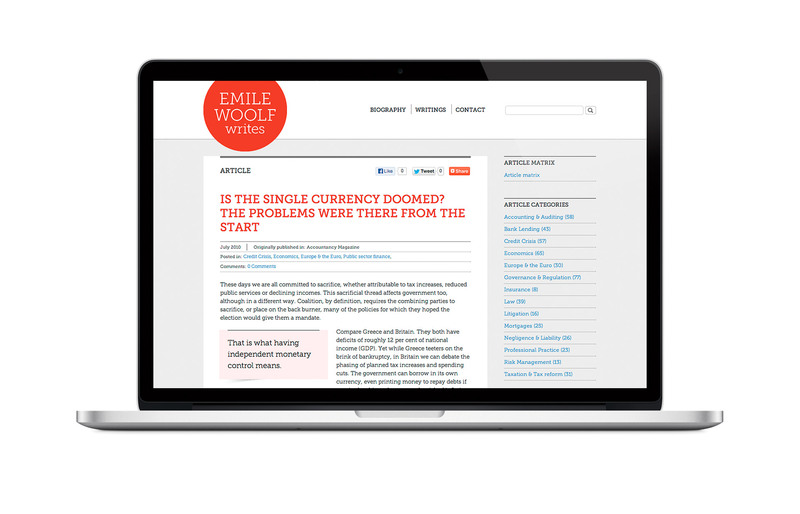 The branding is based around Emile's very personal style of writing. 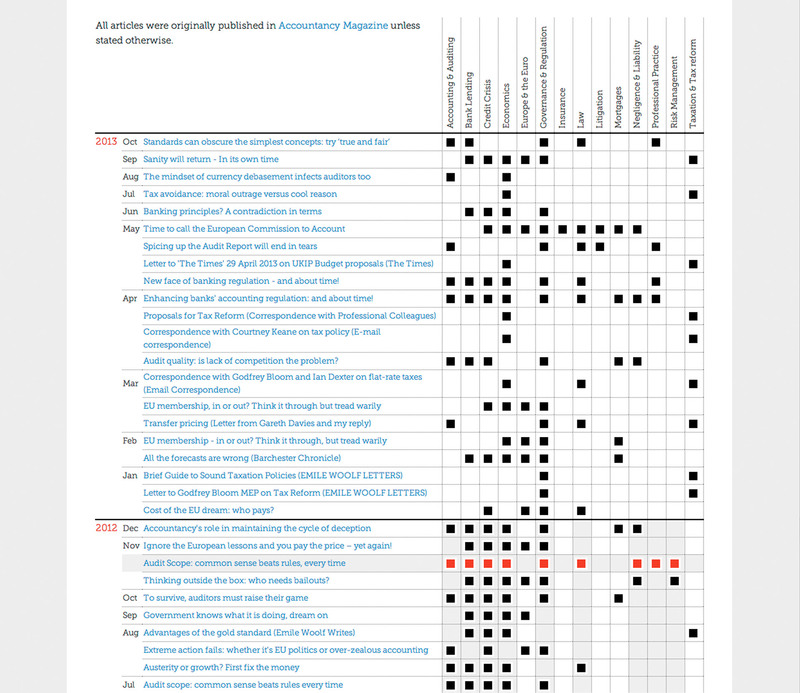 The custom built matrix grid that helps with article searches.